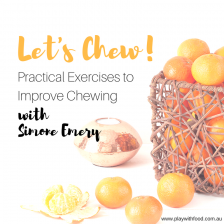 Simone Emery is the feeding specialist and writer at Play with Food. She has a 5 year old and a nearly-7-year old that she has to feed. EVERY. SINGLE. DAY. And relates wholeheartedly to daily grind of preparing food with kids in mind. With 5 years of blogging, there have been many stages covered within these web pages. If you are looking for fussy eating help, you have hit the jackpot! Simone assists parents with feeding their children from starting solids through to fussy pre-teens. UPDATE: Fussy eating consultations are available online at a time that suits you or in person in Melbourne, Australia. Simone focuses on simple food ideas and evidence-based feeding research in her writing, guest speaking and options in her resources. She is an expert in finding the FUN along the journey that kids take when learning to eat. And helping parents find realistic tools for their parenting-at-mealtimes-toolkit. For Simone, this is all about happily feeding your family… especially with fussy eaters. If you are exasperated trying to help your child to try fruits, vegetables, mixed texture meals and/or meats, you are in the right place! Simone has also clocked up over 3 years in the clinical therapy environment with problematic feeders. Simone also works at My Feeding Clinic, Grace Children’s Therapy in Castle Hill, Sydney. Simone has recently relocated to Melbourne, yet, still maintains her clinic role by working virtually with the team and children that have complicated feeding issues. Her role includes managing the parent liaison and coaching element of the trans disciplinary program. 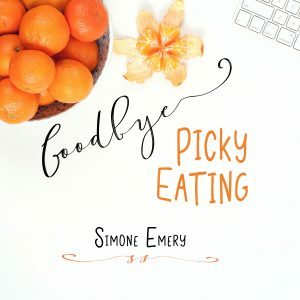 Working as part of a team of health experts has taught me so much more about picky eating beyond the nutrition element of my original training. It is my hands on experience with picky eaters in a child-focused team that sets my skills apart. Here is more information on how to know if your child needs more specialist assistance. I am so glad you are here and taking the time to learn more about me. 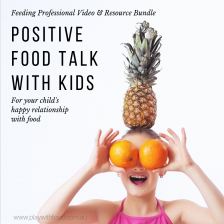 Connect with me on social media, check out these FAQ’s about fussy eating, browse my specialist feeding resources for parents and educators in the shop and join my mailing list (below) to get started on having happy mealtimes with your family! For educators, brands, fellow health professionals and other businesses that would like to collaborate with me, I’d love to hear your thoughts! Feel free to email me via Simone (at) playwithfood.com.au. Get Simone's nutritional assistance, with online consultation packages available anywhere in the world, for picky eaters between 18 months and 12 years. 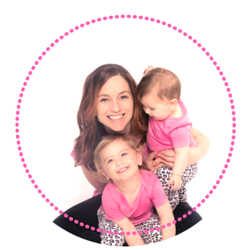 Hi, I'm Simone Emery a children's nutritionist and mum to 2 little mess makers. I work part-time in a multi-disciplinary team delivering the SOS feeding therapy program. I love writing family recipes with a twist - I explain how they appeal or can be adapted for picky eaters. I use my work in feeding therapy (helping extreme fussy / picky eaters) to give you everyday tools that make mealtimes happier. You've totally got this! Have a look around at my growing collection of recipes, jump on my email list and check out my shop for products tailored to help you on a more personal level. I am also a guest speaker on feeding concerns and love working / collaborating with brands and small businesses aligned with my happy mealtime goals. **Confession Time** .. I am a feeding research geek and love presenting the best-of-science in a fun and family-friendly way. 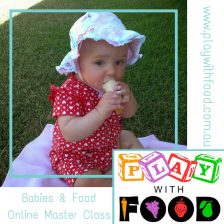 I believe kids need to learn through play and this is the foundation of "Play with Food". I'm so glad you are here!